When thinking about the making of a future, of an idea of futurity, we must think of what kind of historical lenses we shall employ. The future is inevitably tied to the past and it is defined by the present. The past has been created by ghosts that have determined the present; as specters they manifest in the present as agents of influence. Is there a productive mechanism to free ourselves from this kind of historical determination? What is the role of memory and history in this process? What is the role of artists in imagining a society of the future? 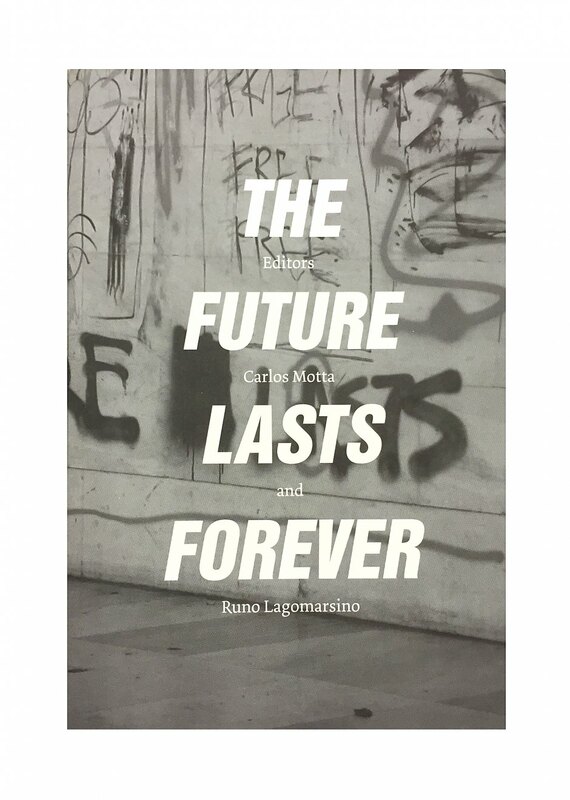 The Future Lasts Forever compiles newly commissioned essays and projects by a group of Latin American artists and thinkers, who have been assigned the task to reflect about “the future of Latin America.” Ideas conceived to challenge traditional expectations about what the future will bring. The texts and projects in this publication also attempt to transcend stereotypical representations of Latin America, to reflect about our relationship to historical narratives, and to recognize the importance of the actions carried through in the present Edited by Carlos Motta and Runo Lagomarsino. With contributions by: Alexander Apóstol, Beta-Local with Juan López Bauza and Luis Pérez, Giuseppe Campuzano, Carlos Capelán, Isabel García Pérez de Arce, Marianna Garín and Roberto Jacoby, Inti Guerrero,Runo Lagomarsino, Walter Mignolo, Carlos Motta, Mujeres Creando, Juan Velentini and Carla Zaccagnini.